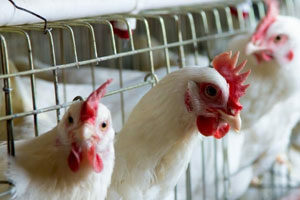 Ensuring a sustainable South African poultry industry will require improving the competitiveness of the value chain, while assisting small- to medium-sized producers and processors, argues IDC Head of Research and Information Jorge Maia. The past couple of weeks witnessed lively interactions on poultry-related issues affecting the ongoing review of Agoa’s extension. The importance of the African Growth and Opportunity Act for the economies of Sub-Saharan Africa, including South Africa, as well as the United States is unquestionable and well documented. It is therefore critical that it be extended for a further 15 years with South Africa among the beneficiaries. It is also important that a constructive approach be pursued in addressing the set of challenges facing South Africa’s poultry industry, which certainly include but are nonetheless broader than import penetration, for the industry is of vital importance for the economy. The poultry industry is the largest segment of the agricultural sector, contributing more than 16% of its GDP. It provides employment, directly and indirectly, for an estimated 108 000 people throughout its value chain and related industries. It supports many businesses and provides a strong platform for rural development, as well as government’s zero-hunger goals, since it is the main supplier of a protein diet when set against other animal proteins. It has evolved, over more than a century, from basically a set of backyard activities into a complex and highly integrated industry, more visibly reflected by the mature commercial operations that we see today. The industry is, however, highly concentrated, reflecting the levels of investment required to improve efficiencies and produce competitively. Throughout the value chain, it is dominated by a few large companies that rely on the benefits associated with the economies of large-scale production, as well as integrated supply chains that reduce production costs, ensure high throughput levels and diversify products to improve risk management. Having gone through very difficult times in the mid- and late 1990s, the industry, especially its broiler segment, has experienced relatively more stable conditions in recent years. Broiler producers have faced pressures on their profit margins since 2011, but the situation appears to have improved more recently as feed prices declined. The industry has lately started showing an early stage recovery. The rand’s weakness has come at an opportune time, although prolonged depreciation will increase the cost of imported inputs and equipment, expanding already significant barriers to entry and expansion. Although the number of broilers (chickens hatched from the eggs of breeders) slaughtered and poultry meat production increased in recent years, South Africa still does not produce sufficient quantities to satisfy domestic demand, with the shortfall addressed through importation. Poultry meat imports, particularly chicken, have posed a major problem for the domestic industry, especially in recent years and particularly for the smaller producers. Technically, South African broiler growers are efficient compared to international producers. However, when feed costs are introduced into the equation, our growers are generally found to be less competitive. Consequently, within a global context, the economic efficiency of local producers does not compare as well as their technical efficiency, largely due to higher production costs. Therefore, the industry is struggling to remain competitive in global markets. The industry faces several significant challenges which have been hindering its competitiveness and growth potential. The principal ones pertain to rising feed costs, import penetration, rising electricity tariffs and access to reliable supply, exchange rate fluctuations, and, among others, access to finance and markets, especially for smaller-scale producers. Considering its pivotal role in the economy, particularly employment and food security, the industry’s long-term sustainability needs to be prioritized. In this regard, it is vital to improve the competitiveness of various segments of the value chain, especially those aimed at lowering feed costs. Strong emphasis must also be placed on industry transformation. Poultry producers and processors, especially small- to medium-sized, must be assisted in attaining economies of scale, gaining market access and achieving competiveness on a sustainable basis. This will gradually contribute towards satisfying local demand, which is growing rapidly, while enhancing the industry’s overall contribution to the economy, including employment creation. Jorge Maia is Head of Research and Information at the IDC. This article was first published in Business Day on 20 March 2015.